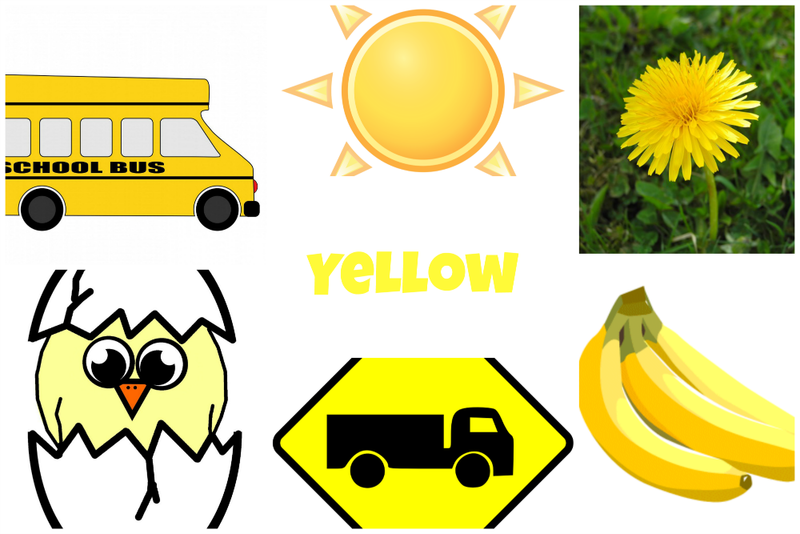 This year our Letter Y lesson in preschool featured YELLOW. It was our first time focusing on a color and, since the year was coming to a close, I ventured into talking about primary colors, as well. First, we had to discuss yellow! How many things can you think of that are yellow? I had pretty hefty list but my preschoolers surprised me by adding “pencil” and “yellow caution sign” to it. They are always thinking! You can teach these “yellow” things as a group discussion or even do it as a game. Our activity was a lesson in color blending. First, I taught my students what the primary colors are: yellow, red and blue. 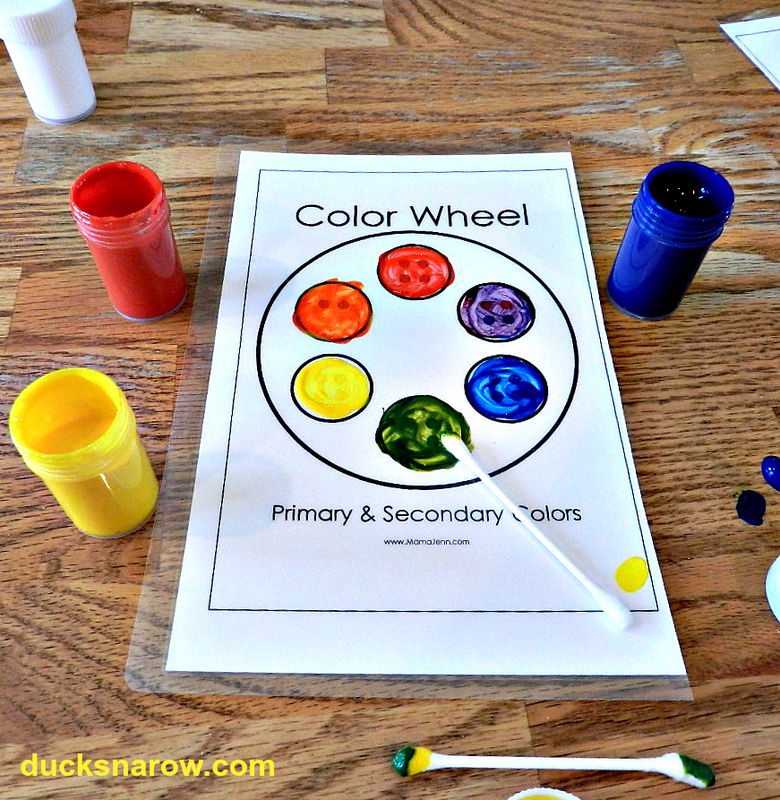 This color wheel by Mama Jenn is excellent for teaching colors. Print it out on white cardstock and laminate it to be used again and again. Put small dots of paint on the dots of the color wheel. Instruct your students to use a new q-tip for each circle and blend. This can be a messy activity for 3 and 4 year olds. Cover the child with a smock or old t-shirt. Have sponge, towel and bowl of water nearby for cleanup. 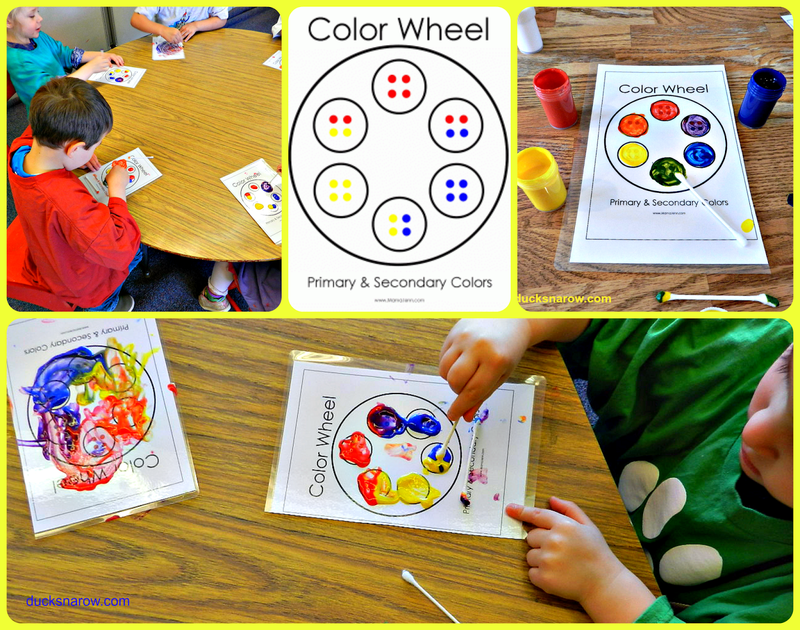 Have some ideas on how we can teach colors to preschoolers?